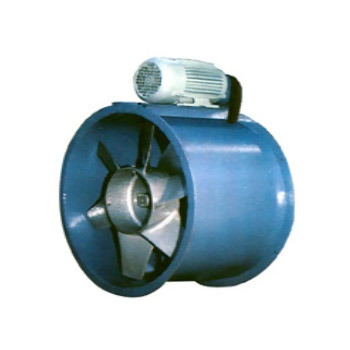 Incorporated in the year 2011, L&T Howden Private Limited are one of the most proficient Manufacturer, Supplier and Exporter of Axial Flow Fans, Belt Driven Axial Fans, Tube Axial Fans, Air Finned Heaters, Hot Air Heaters, Heavy Duty Exhaust Fan etc. Our offered products are designed with great precision as per international quality standard by team of expertise. We use optimum quality raw material and high technology that are sourced from the renowned vendors of the market. Hence, our products are high in performance, durable, easy to install, high tensile resistant and efficient to use. The firm has been taking utmost care from the very beginning to manufacture quality products. We strongly believe in providing positive client satisfaction. Our customer-centric approach has been appreciated among our wide client base spread all across the world. The complete range of our product are extremely demanded for its extensive quality. At any case we never compromise in our quality part of our products and follow strict total quality checks at our testing units. These steps helps us to make sure that our products have high durability and efficiency.